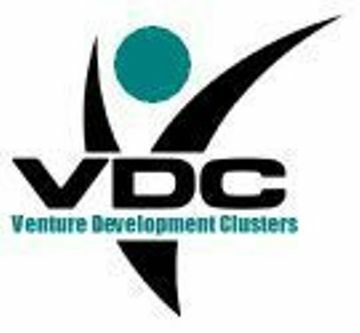 Following on our series of Venture Development Clusters we are planning one of our first Cyber Security VDC Meetups this month to see if we can start generating a local Venture Cluster in the Area of Cyber Security, Homeland Defense and Space Commercialization. We will be meeting next TUESDAY the 18th of December, (rather than during the last week of the month as it is a holiday break for many of you hard working Entrepreneurs ! Doug DePeppe has fashioned a niche expertise as a cyber-risk adviser with i2 Information Security Corporation (i2IS), where he is the managing principal. Doug helps businesses design and implement commercially reasonable security practices to mitigate the growing liability exposure from cyber-security threats. Doug draws from experience as a cyber-attorney serving in the Lawyers Working Group for the White House 60-day Cyberspace Policy Review. His work as Subject Matter Expert was also highlighted in the White House-directed, Energy Department report: Electricity Subsector Cyber Security Capability Maturity Model (ES-C2M2) released in 2012. Previously, Mr. DePeppe was the legal advisor to US-CERT and the National Cyber Security Division, Department of Homeland Security, and also supported the newly created NCCIC (National Cybersecurity and Communications Integration Center). 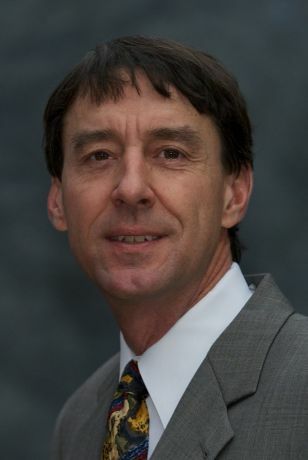 He retired from the Army JAG Corps in 2008, and served as legal advisor to the Army Network Operations Security Center, Army Knowledge Online (AKO) portal, and as operations counsel supporting cyber, space and missile defense operations at Army Space and Missile Defense Command/Army Forces STRATCOM. He has served in support of computer network operations and space operations functioning in support of a command in a theater of operations. He also has extensive experience related to all facets of Defense and Homeland Security programs and initiatives to integrate cybersecurity efforts across the interagency, state and local governments, the private sector and critical infrastructure. As such, he is well-versed in the privacy, constitutional, and role of government issues that permeate the emergent cybersecurity challenge facing government and society. He also functions as a cyber security professor at several universities, and has developed cyber security education and training curricula. In addition to his cyber security practice with i2IS, Mr. DePeppe co-founded the Center for Information Age Transformation (CIAT), and is leading community cyber security efforts with the Western Cyber Exchange (WCX) in Colorado Springs, Colorado. i had the pleasure of meeting with Adam, (an ex Army Soldier and Police Officer who is on a crusade to create new Crowd Sourcing Tools to fight Crime. I am working with him in a professional capacity as a Business Development Adviser and he is going to be doing an "In-depth" presentation of his business concept with us next week. I am a former infantry Marine and a decorated Police Officer of ten years. I resigned after a tragedy took the lives of my entire patrol squad 11-29-09. I will be presenting my ideas for a two prong crime fighting software/website that will greatly improve the world of crime fighting and safety for both citizens as well as law enforcement. Local Law Enforcement Lacks an “integrated” database to search and share crime data from both public, and private sources… Why ? Citizens do not have access to and are not encouraged to contribute to the database of wanted suspect information… Why ? There are 223 million computer users and 337 million cell phone users in the U.S and we still use outdated crime fighting techniques… Why ? We deploy Crowd Sourcing citizens utilizing State of the Art Cloud Technology to Integrate All Pre-existing Databases. We brings the “Community” back into Community Policing. We reduces Administrative Costs with More Efficient Use of Manpower. We use State of the Art Technology with Maximum Information Sharing and Offender Accountability. We use Real Time Data from Web and Mobile Platforms. We Use Crowd Sourcing to Give the Public Ownership of their Communities. We offer Free and Instant Access to Offender and Mapping Data, Tips and Alert Solutions, Shopping Awards Program and Complete Anonymity! Following on the success of our first SaaS/Cloud/Internet Cluster Meetup back in February 2012, (CSE Group February 2012 Meetup) we are planning our second this month on Wednesday November 28th at the East Library on Union Blvd. 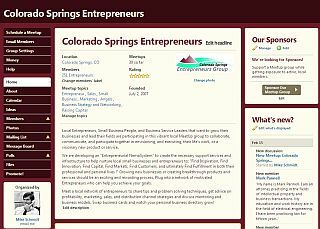 As many long term CSE Group members know we are starting to put together the raw materials, people, and funding models for our SaaS/Cloud/Internet Venture Development Cluster for Colorado Springs. No "handouts" or "government cheese" here ! To help provide a "response" to some recent articles about software developers and companies "leaving" the Springs for Austin, Texas, or Boulder, Colorado... we would like to propose that this local grassroots effort be seriously considered as a viable alternative. We are moving out and executing our strategy that is supported by numerous venture accelerators across the country who have taken a "differentiated" and "direct" approach to building companies quickly and efficiently. So, I am pleased to announce that we have confirmed our two business speakers for this month and they are Mark Geene, and Gary Gaessler of Cloud Elements from Denver. A recently developed Cloud Services company. I had the chance to meet with Mark and Gary at their inaugural SaaS/Cloud Meetup launch in Denver earlier this month at the Denver Innovation Pavilion. Mark explained to me that Cloud Elements builds open cloud applications. They extend the industries’ leading open cloud platform, Cloud Foundry, with re-usable Elements and cloud-centric product development solutions providing a unique blend of technology and application development skills that accelerate the development of highly functional, supportable cloud-optimized applications. Mark Geene is a Co-founder of Cloud Elements a company that accelerates the development of cloud computing applications by combining open cloud platforms with our reusable technology elements and cloud-optimized application development services. 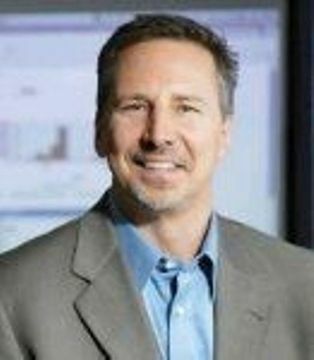 Prior to founding Cloud Elements Mark was the Chief Executive Officer of InfoNow a company that he transformed into two industry-leading cloud companies, Channelinsight and Locationinsight. Mark has more than 20 years of experience in sales, consulting and product management including executive positions at IBM and Oracle, and senior executive positions at Tenfold Corporation and Dorado Software. 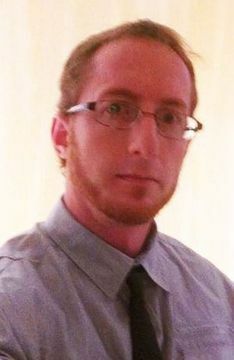 Mark holds a Bachelor of Science degree in Computer Software Engineering from Worcester Polytechnic Institute. 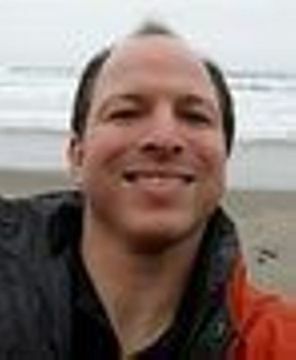 Gary is a Sales & Marketing leader with early stage software & Internet ventures. VP Sales/Marketing Cloud Elements. Previously VP Sales StreamStep, acquired by BMC Software. Co-founder VoipReview 8 million+ visitors, acquired in 2008. Founders Institute mentor. " We will be announcing our local 5-minute Entrepreneurial Speakers this week so STAY TUNED ! What is the formula for success ? We believe it's a grass roots and bottom up process, that means creating both a VDC, (Venture Development Cluster) focused on a specific vertical market model, (as in SaaS/Cloud/Internet), including start-up entrepreneurs and operating company entrepreneurs in the same space integrated together with mentors and advisers and investors who "get" software development, and the Internet to create a dynamic venture development environment. These companies work and support the efforts of the others in the cluster. Each have unique markets and products and services, but share a legacy of operational needs and challenges that they will be able to help support as an eco-system. Match this with a specially developed Collaborative Community Capital Investment Fund, (3Ci) that raises and invests exclusively in the SaaS/Cloud/Internet cluster companies, and you have an explosive combination. We want to raise between $3M to $5M for this fund initially, with the potential to grow this to $10M annually so we are "SERIOUS". Have we got an EXCITING meetup planned for you this month... !! Fresh after my "Celebrity Judging" role this past Saturday up in Denver at the DaVinci Institute's Inventor Showcase in Denver, (where I was fortunate to join a distinguished group of local business, media, publishing, academic, and entrepreneurial judges) to help judge the inventions and identify this years roster of innovative companies, (which by the way was a great success for Thomas Frey and the entire DaVinci Institute team), I had the opportunity of meeting the CEO of one of the many exhibiting companies at the Inventor Showcase, Mr. James Moseley who is the Founder and CEO of Sun Seeker Enterprises, Inc., a California-based company that is bringing to the market an innovative product called "The Home Fire Blanket", which is a unique fire protection technology that has its origin in the Space Shuttle Program. The Fire Blanket formally was used on Space Shuttle Missions and in the Military, is now available for commercial and residential use. It doesn't burn, it's melting point is over 3000F, it produces no smoke or fumes and is water resistant. 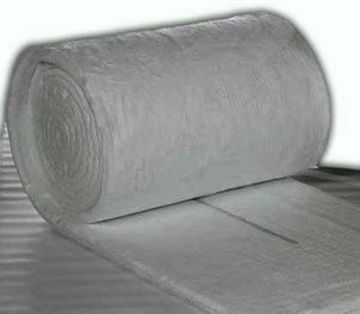 It is comprised of Silica, Alumina and interwoven sintered ceramic fiber cloth. Some of the components of the blanket are also used in the ceramic tiles for top-secret military use. The SunSeeker Home Fire Blanket product also has excellent sound insulation qualities as well and will be tested in the same way as the Orbital blanket for commercial applications, floor ceiling assemblies, walls, steel beam with and w/o concrete. The SunSeeker Fire Blanket has a unique blend of air seal properties, firewall and acoustic applications that are waterproof and durable. Through a exclusive agreement with Rye Canyon Products, SunSeeker Enterprises, Inc. is bringing this product that has been subjected to Aerospace application to a commercial application by introducing the blanket to a public market. After seeing the product up-close and personal at the Inventor Showcase and realizing the impact that this product can have on future re-building of the homes in the Waldon Canyon Burn Area here in the Springs, and for future home repair and roof replacement opportunities, and hearing about the "back-story" about how James came across this amazing technology, and how he and his small team at Sun Seeker are implementing and executing a strategy to monetize and bring this amazing technology to the marketplace... It was worth inviting him to speak at our meetup this month. He has an amazing business story to tell and he has graciously agreed to join us this month at our CSE Group Meetup. 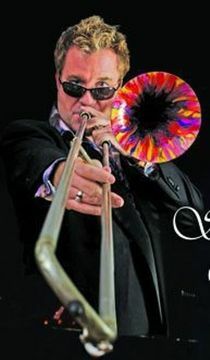 But, that's not all... James is also an accomplished Jazz Musician and Grammy nominated Trombonist who is known as "The Bone Man" and who has played with a wide variety of Jazz Greats, as well as with Roger Williams, and members of the London Symphony Orchestra. IN FACT, JAMES HAS AGREED TO PROVIDE A LITTLE ENTERTAINMENT FOR US AS WELL...!! - This is a First for the CSE Group where our Business Speaker will also provide Entertainment. Mixing a Business and Entrepreneurial Career with Jazz ! By age 16 James Moseley was sitting in at jazz clubs in Kansas City. By 18 he was sneaking out to play at The Blue Note Foundation with the acclaimed black musicians of the area. “It helped me a lot because these guys played a whole different kind of jazz.” In the mid-80s’ Moseley was considering a career in music. 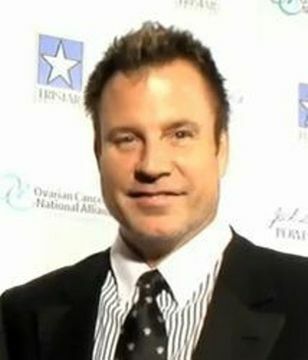 He graduated from Columbia State College in Missouri and then earned a scholarship to the local conservatory of music. Moseley subsequently relocated to Westminister, California to study with Watrous as well as take music courses at Golden West College and Orange Coast College with noted instructor, Doc Rutherford. “Bill took me to recording sessions. My reading chops came from the colleges. Everyday for two-and-a-half hours you did nothing but sight-read. But studying with Bill was a whole different thing.” Moseley was also influenced by another trombone legend, Carl Fontana. While he continued to explore his musical opportunities, Moseley smartly diversified his career portfolio; he built a thriving life insurance company that subsidized his musical and recording pursuits. “I wasn’t a ’Let’s stay broke music guy,’” observed Moseley. His business acumen landed him on the 100 Young Entrepreneurs list, right below Bill Gates, Steven Jobs and Mark Hughes of Herbal Life. “I wanted to do music and always wanted to be successful and approach music as an entrepreneur would. What trombonist was looking to put the London Symphony Orchestra together on his own recording?” When he wasn’t out bustling on behalf of the insurance company, he began playing trombone in the fledgling Crystal Cathedral Orchestra, initially to offer piano and trombone lessons to the congregationalists. It seems that James already has some "connections" with some business people here in the Springs, (who I have recently met) and I have asked James if he and his team would be willing to speak to our group and demonstrate his innovative new product... The Fire Blanket. He has agreed to stop by and be our Featured Business Speaker this month as well as provide a little fun and entertainment. or if can't make it to the CSE group this Wednesday night... However, you might miss James playing Jazz Tronbone if you do not come to the meetup this Wednesday !! Also, I had the chance on Saturday to meet a very dynamic technology Entrepreneur named Neil McClure who has over 25 years of professional product related experience in hardware and software that ranges from technology discovery to product end-of-life – retail to aerospace. In his long career he has developed a number of innovations in our nations Electronic Voting Systems, and has recently formed a company named TKO Enterprises, Inc. to create a line of image processing, detection and security solutions. At the Inventor Showcase he demonstrated an innovative Image Processing System and Alerting solution called Goose Guardian that was tailored to repel Canadian Goose's in a unique perimeter detection and alerting system using advanced image processing and computing power encased in a stand alone "Green" enclosure. Goose Guardian is the first ever Canada Goose deterrent to include animal behavior modification using demand performance for wildlife control – meaning it only goes off when geese approach. 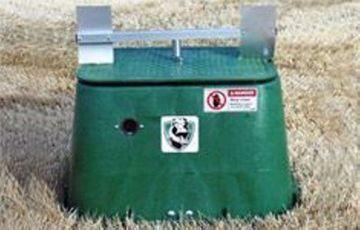 The Goose Guardian scares geese away using an integrated hazing device designed for wildlife damage management. Unlike goose dogs, the Goose Guardian needs no supervision. No repeated applications of expensive, ineffective chemicals are required. Goose poop creates a mess and health hazard and the Goose Guardian prevents geese from loafing or nesting in undesired areas by repelling them away. Neil has a number of other "Vertical Markets" in mind for his image processing technology, and you will find his story about innovation and inspiration, and the challenges he faced in forming his company compelling. I sure did ! Neil McClure has over 25 years of professional product related experience in hardware and software that ranges from technology discovery to product end-of-life – retail to aerospace. He has held various engineering, management and executive positions through his career, the latter half focused on business development, end product delivery and intellectual property. Neil was the founder of Worldwide Elections Systems, a start-up company focused on the development of an electronic voting system that was purchased by Hart InterCivic in 1999, where he continued as the head of technology and business development. Hart InterCivic’s eSlate voting system severed over 15 million voters in the 2008 Presidential election. After leaving Hart in 2008, Neil went on to launch TKO Enterprises in 2010, whose core technology is a patent pending object recognition image sensor system that has a variety of applications in different industry segments. Neil has a Masters in management, B.S. Physics and Electronic/Electrical Engineering and holds 15 patents and 5 pending applications. TKO Enterprises, Inc. (TKO) is a start-up technology development company located in Boulder, Colorado, and is dedicated to pioneering new image-based sensor technology. The first application is an automatic, viable and persistent goose deterrent device. Using its patent-pending sensor technology to trigger an electro-mechanical deterrent (either moving or audible or both), TKO is able to precisely target the geese in a non-repetitive manner. Thus, when one or more geese enter the sensor’s field of view, the deterrent is triggered, humanely scaring the geese away. However, when any other animal species (including golfers) enters the same field of view, no deterrent action is triggered. TKO provides a further advantage by utilizing multiple, electro-mechanical deterrent devices that are plug-and-play so they may be varied by location to minimize the possibility of the geese habituating to the hazing method. TKO has added wild turkeys to its detection capability and is evaluating markets for other animal detection and deterrent, including deer and elk for highway traffic safety. The company has also invested in the specification and market assessment for a bed exit detector to be used by hospitals and nursing homes for providing early warning of at-risk patients attempting to get out of bed unassisted. Unassisted bed exits are the leading cause for falls resulting injury in health care facilities. This month I want to challenge our CSE Group members to make this a memorable meetup and let's see you come and bring a friend to this fun night celebrating the "Full" entrepreneurial lifestyle with James Moseley, who is living out his dream as a Small Businessman, Jazz Musician, Entrepreneur and Father, (yes he is bringing his kids with him on this trip) as well ! - and the down and detailed process that Neil McClure took to put his company TKO Enterprises, Inc. on the map with his innovative technology. I want to see us "Fill-up" all 100 seats this month !! Bring it on Colorado Springs, let's welcome James Moseley and Neil McClure to town in a big way with a big bash... ! Be sure to RSVP for this meetup as we are expecting a large crowd. At our September 26th Meetup this month, in addition to our entrepreneurial speakers, (See below), we are going to have a presentation on SCOR (Small Company Offering Registrations) as a follow-up to some of the comments I made at the recent Crowd Funding Seminar that was held by Senator Benett's office earlier this month where the issues and challenges of the upcoming Crowd Funding bill were debated. Until the SEC finalizes the Crowd Funding rules and regulations, the jury is still out on how effective this approach will be for entrepreneurs, but there are some signs of innovation occurring in the market with a number of portals emerging to help fill in the operational and deployment gaps. 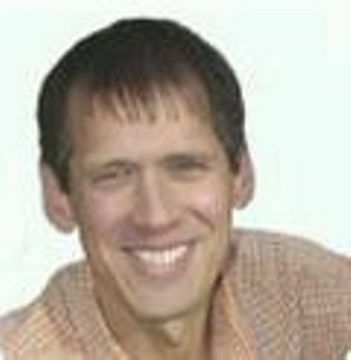 (As you know Jeff Thomas of 30dps here in the Springs is developing the Invertual.com web-site solution to address a number of needs in this area). More on Invertual's presentation to the CSE Group back in our Feb 2012 SaaS/Clound Internet Meetup HERE. 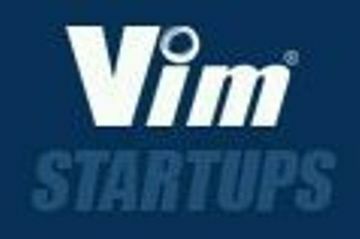 StartUp Guru and Vim Funding. Brian started his entrepreneurial journey 18 years ago and has since launched ten startups. Startup Guru is the culmination of this extraordinary journey. He has openly shared for the first 40 years of his life he primarily served himself and lived a life without purpose. Then in June of 2006 he read a book that would change his life forever. He embarked on a journey that connected his life purpose with his entrepreneurial career. Through this work he understood his patterns and defined his life in a way that revealed his purpose. Forged in him was the way of the entrepreneur. Now through the ESP assessment he guides others to genius. "Crowd Fund Your Colorado Business NOW!" The JOBS Act will allow national crowd funding in 2013 or later. However Colorado already has two statutes that upon registration will give you the same ability to generally solicit in CO only. Come learn about these options from Brian if you are seeking capital this year. Brian will be covering the inn's and outs of the SCOR offering process at the state level and will be providing an overview of the FundingLaunchpad.com Service they have created to help Entrepreneurs through the process. Charles is a serial entrepreneur who has been involved in a wide variety of start-up ventures here in the US and internationally. He has developed a number of "Geo-Domains" over the last several years creating destination web-sites for large cities and communities, and has been involved in a number of technology ventures over the years. 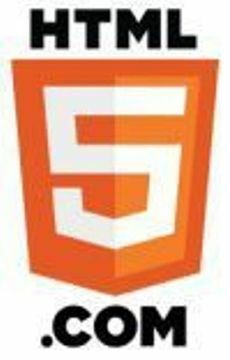 Charles will be updating the CSE Group members on the progress he is making with his new SaaS/Cloud Internet Platform called "HTML5.COM" which is going to become a major destination web-site to support the growing HTML5 developer and consumer electronics device manufacturer marketplace. The company has been working on the development of its new web-site and setting up technology and third party alliance partners that will be part of the overall HTML5.com platform, so come and hear Charles talk about some of the challenges he is going through to create this company and service. Also he will provide a "first look" at the web-site that is currently under development. Note: Ensemble Ventures is working with HTML5.com through its Venture Ventilator Program, and we would like to encourage you to come take a serious look at the "Updated" HTML5.com business model and technology platform that has been in planning and development phases over the course of the last 4-5 months. You will be amazed at the progress that has been made! The company has much more work ahead of it, but they are making gradual progress. Sneak Peak & Demonstration of the Business Experts Network ! Come for a "Sneak Peak" into a unique "Strategic Marketing Alliance" the CSE Group is developing with Denver-based CTEK in the launch and promotion of their new Business Experts Network ! This is a new online forum enabling business professionals to anonymously ask operational, management, or other questions to a network of business experts along with a unique opportunity to rate the value of the answers and advice provided by these experts, and the opportunity to engage or employ these experts as they may desire. 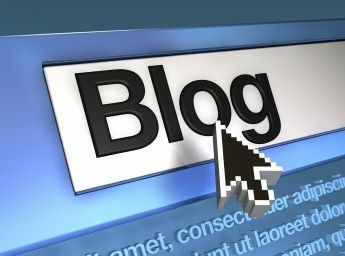 The site is under development by a technology team at CTEK and is currently in Beta, and we will be encouraging our members to join as both businesses seeking answers to challenges you have in growing your business, as well as for local professionals who would like to help and assist local entrepreneurs with some of the answers and solutions to their problems. We will be issuing a special "Promo" code at next week's meetup that will help enable discounts to the site in the future for CSE Group members. In addition, we will cover some of the updated information and presentations made by the team at Colorado Capital Congress which has held a series of meetings over the last several months. This group is actively moving the bar forward for seeking out and identifying creative funding and capital sources for Colorado business. The CSE Group has been participating in this congress since its inception as one of the representatives from Southern Colorado. Obviously there are multiple ways to source capital for seed and development stage businesses, (including donation-based crowdfunding models like Kickstarter, and traditional Private Equity and Seed Angel Investment through Private Placement Memorandums with Accredited Investors), but what a lot of small business people don't know is that since the late 1990's in Colorado it has been possible to raise up to $1M in a SCOR offering in Colorado from Colorado Investors (which can be from both accredited and unaccredited investors) using the Small Company Offering Registration process that is registered at the State Securities office. And you can advertise your capital formation campaign as well ! So be sure to come to this month's meetup to learn more about this great capital formation tool for Colorado Small Business. 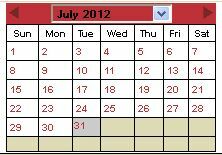 We are all set for our July 2012 Meetup and 5-Year Anniversary celebration ! We have a special night planned, have a number of exciting speakers we are in the process of confirming, and will be making a number of announcements regarding strategic partnerships and alliances that the CSE Group is in the process of implementing and executing for its Venture Development Clustering initiative. Guaranteed to be "engaging, entertaining, and exciting"... Well at least 2 out of 3 !! We will be updating the Agenda, Speaker List and Special Events planned over the course of the next several weeks... so stay tuned ! You have to be a member of Meetup (Free) to be able to Join the CSE Group (Also Free). As wildfires continue to ravage Colorado, residents are desperate to help in any way they can. 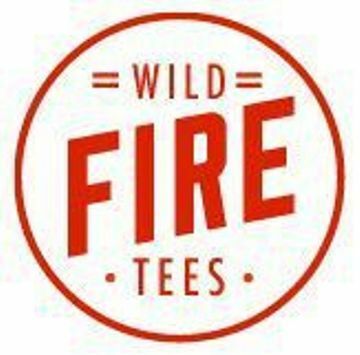 A group of talented Colorado designers, marketers and printers have quickly banded together to donate their skills and launch Wild Fire Tees, a rotating line of Colorado-created, limited edition tee shirts with 100% of the proceeds going to wildfire relief. “We love Colorado,” said Austin Buck, co-owner of Co-Pilot Creative, a Colorado Springs-based design firm and a devastated resident who founded the site. “We hate watching it burn.” Inspired by the Central Texas Wildfire T-Shirt fundraiser powered by AIRSHP in response to the Balstrop fire in Texas, Buck and his crew at Co-Pilot brought in a few local friends who wanted to help – Colorado Springs-based design companies Fixer Creative Co., Design Rangers, marketing company Magneti Marketing, Pueblo-based LastLeaf Printing, and artist Jeremy Grant – to co-found Wild Fire Tees. The site emerged out of a simple and overpowering desire to support wildfire victims in a way that would exceed any individual checks the group could write. According to their press announcement, the launched yesterday at noon on Wednesday, June 27th and by 4 PM they sold over 1,000 shirts and received nearly 15,000 hits to their website. They sold about $50,000 t-shirts in 12 hours, with orders coming in from all over the nation. Local entrepreneurs getting it done, not waiting around for approvals, paperwork, etc... moving out ! That's an order ! NO give them the order ! You'll know what to do... That is all. Celebrating 400+ Membership Milestone Reached! 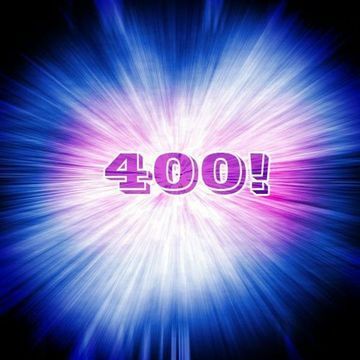 We have now officially reached 400+ members ! ... when Valerie Montgomery - Signed Up ! 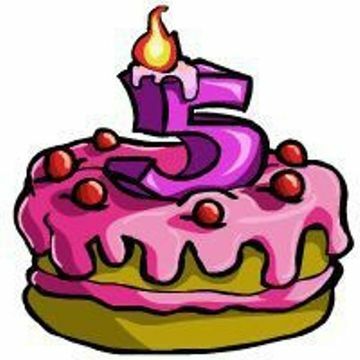 And we have a 5-Year Anniversary Celebration too... ! 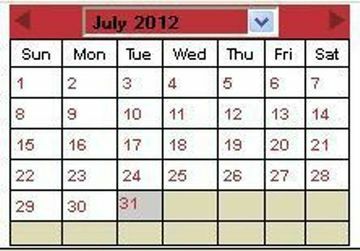 And that means we are going to be celebrating next month at our July 2012 Meetup on Tuesday June, 31st at the East Library. So mark your calendars for our July 31st meetup and 5-Year Anniversary Celebration on Tuesday June 31st ! So if you are interested in helping plan and promote our 5th Anniversary celebration let me know. We always appreciate any help in our monthly meetups and special events. Medical Voyce is on Stage ! This morning I confirmed the participation and contributions of the executive management team of Dirk Hobbs and Scott Casey of Medical Voyce, an innovative Monument, Colorado- based Healthcare services company, to speak at our Healthcare IT/Medical Services- Themed Meetup. 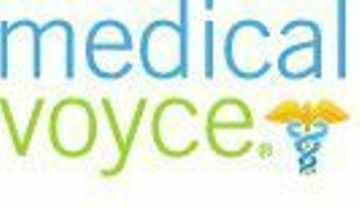 Medicalvoyce.com is a virtual platform for health care providers and consumers, supplying valuable tools, information and communication to connect physicians to each other and their patients. Within Medical Voyce are two unique web interfaces for two separate audiences: Public and Professional. Medical Voyce was founded in 2006 by Dirk R. Hobbs after running MDNews in CO. Based on 10 years+ of close involvement with physicians and their struggles with practice management and other business challenges, Medical Voyce was created with the intent to give physicians the tools and information they need to better manage their practice. 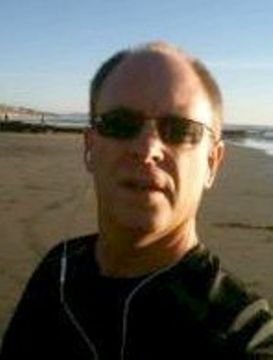 Dirk is a 20-year marketing executive and entrepreneur with extensive industry experience in the medical/health care industry, bio-tech, medical informatics, physician communications, medical publishing, medical/health care non-profit organizations, business consulting, and more. His deep personal commitment to improving the professional experience of medical and health care personnel are the cornerstones of the organization’s Vision Mission and Values. The result is Medical Voyce, a unique online deliverable, which delivers powerful and intuitive Web-enabled toolkits, which provide revenue generators, peer communication platforms, and a venue that stimulates an element of peer gathering and collegiality, a long lost aspect of the medical profession. Additionally, the company’s IP has proven to deliver increased value for medical societies, hospitals, physicians, health-related consortiums, practice administrators, health departments, and of course, health consumers. Dirk has been recognized in professional circles around the country as “one of the true advocates for medical professionals”, a designation he takes very much to heart and which is a guiding principle for the organization. Dirk is a devoted Christian, husband, and father of two children. 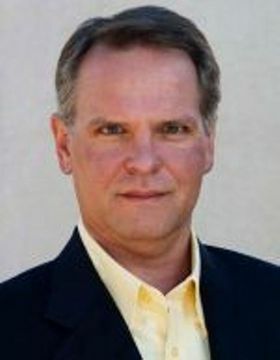 He received his degrees from the University of Mississippi and enjoys community service as board member for multiple organizations in Colorado, golf, the arts, reading, and his family’s Colorado lifestyle. Scott, is a senior strategy and operations executive in the healthcare, financial, and consulting industries with extensive domestic and broad international experience. Prior to his arrival at Medical Voyce, Scott held the positions of Senior Vice President, Corporate Development for Rampart Consulting Corp.; Vice President, Operations for Abacus Mortgage; and Director, International Programs and Project Management Office for FrontRange Solutions. Scott’s international experience includes the following countries: Mexico, Brazil, Great Britain, Germany, Spain, Italy, Singapore, South Africa, China and Australia. 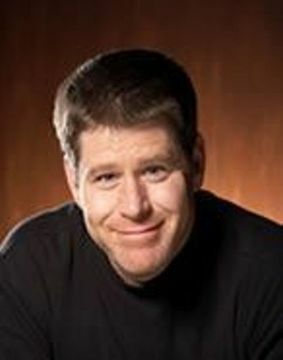 Scott earned his BA from the University of Illinois; his MBA from the Kenan-Flagler Business School at the University of North Carolina; and his Global One MBA, International Business Development in partnership from the Chinese University of Hong Kong, Rotterdam School of Management at Erasmus University – Netherlands, Egade School of Management at Tecnológico de Monterrey-Mexico, and Escola de Administracao de Empresas de Sao Paulo – Brazil. He also holds a Top Secret US Security Clearance. Scott sits on the board of directors for The American Red Cross of the Pikes Peak Region. He is an avid golfer during the summer and enjoys snowboarding in the Colorado Rockies during the winter with his wife Kim and their two daughters Sarah and Rachel. John Keeran, (who is a CSE Group member) and his associate Dr. Kailash Jaitly, will be co-presenters at our June 20th Meetup Next week where they will be doing a "re-cap" of the 2-day Creativity Seminar they launched last month in May here in Colorado Springs. Their unique 2-day seminar format blends a form of "Creativity Science" that integrates humanism, behaviorism, neuroscience, and philosophy through physics and set theory. As John as described it, "They turn psychology into a “hard” science". Yet, their model is easy to understand with analogies of horses and cars used by John Keeran & Dr. Jaitly. If you can ride a horse or drive a car, you can understand this new and powerful model of the mind and emotions. Come to this Month's meetup and get an insiders view of this unique Creativity-Building process. John is an industrial strength geek with over 30 years of experience in computer systems. From assembler programmer to systems integrator to database administrator to development manager and project manager, John has been a part of the growth of Information Technology from the “punch card” days of the 1960s into the 21st century and the World Wide Web of today. 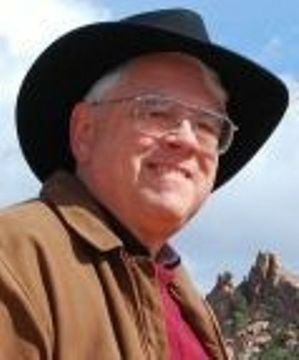 Much of his career was spent as a contractor, and he has worked on systems for Oracle, MCI, Agilent, Current, HFSI, AFSPACECOM, and many others. Fascinated with the workings of the mind and emotions as a teenager, John applied his new expertise in boolean algebra and set theory to formulate a new model of the brain, the mind, and emotion based in thermodynamics, evolution, and economics. John realized the close ties between creativity and emotions. 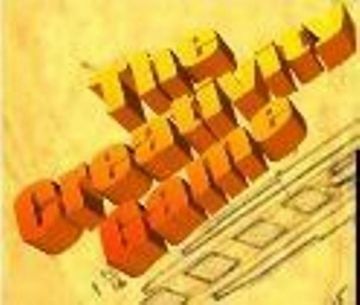 Armed with his new mind model and his understanding of the importance of creative problem-solving, John joined with two partners, Ed Scott and Gary Love, to invent the Creativity Game, a tool to reawaken and enhance innate problem-solving skills. Finding that his terminology was alien to specialists in the field of psychology, John turned his attention toward learning the jargon of psychology and neuroscience. Originally from India, Dr. Kailash Jaitly came to the U.S. after receiving his masters degree in psychology and Honors Degree in philosophy at the University of Lucknow in northern India (less than 150 miles from Nepal and the Himalayan Mountains). Dr. Jaitly continued his education at the University of Colorado, Harvard University, and the University of Denver where he received his doctorate in psychology. Active in the field of psychology for decades, Dr. Kailash most recently has been a university professor and director of health/medical psychology. Not only is “Dr. KJ” one of our presenters, but he is our technical adviser, too, since much of our material is in the field of psychology. Over the years, Dr. Jaitly has been on the Board of Directors of numerous organizations dedicated to health care, and he has taught at a variety of universities and colleges in Colorado. A clinical psychologist, Dr. Kailash has been especially dedicated to reform in child and adolescent mental health services. In fact, he spent a good portion of his professional career as the director of the Division of Child Psychiatry at the Colorado Mental Health Institute in Pueblo, Colorado. 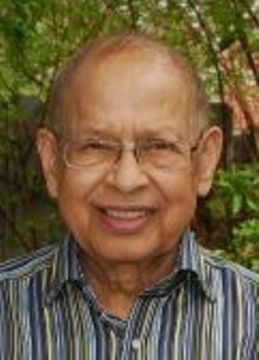 Dr. Jaitly is a life member of the American Psychological Association. 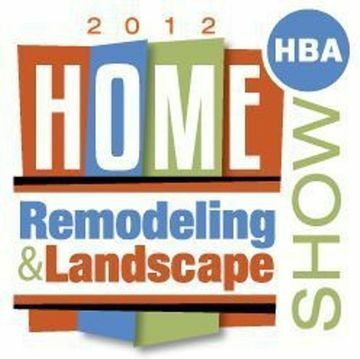 Looking forward to seeing you all this month ! Our May Meetup is going to be a "catch-up" meeting of sorts, as we have all been busy on our own companies and projects during the last several months and we missed our April Meetup (due to some project and client schedules and travel commitments that I had) and I had some last minute speaker cancellations. Also it seems that our meetings at the Penrose Library for the last several months were getting somewhat "crowded" in their small Adult Room space as we were reaching capacity limits there. But the good news is we are back to our EAST LIBRARY Home ! Agenda for May's Meetup: "Open Forum Format"
This month, instead of attempting to "cram" 2 different Venture Development Cluster overviews into 2+ hours with multiple speakers on different topic areas, (as we were trying to make-up for April and May's topics of Healthcare IT/Services, and Broadband Telecom/Wireless respectively), I've decided to try something different for this months meeting. It's called "Open Forum Format" and is designed to allow for some UN-scripted, and ad-hoc, impromptu member presentations and discussions by members who are interested in making 5-Minute presentations providing the CSE Group members with updates on your businesses, new product or service introductions, discussions about challenges you are facing, or some questions you have about some thorny legal or business related issue you are dealing with, etc. About Elizabeth D. Martin is a Colorado native, born in Pueblo and grew up and raised afamily in Grand Junction. Elizabeth operated “A Perspective,” in Grand Junctionfrom 1998 to 2004, helping small business owners adapt to computer technology.She earned a bachelor’s degree in art and writing in 2009 and moved to ColoradoSprings in 2009. Since October 2009, Elizabeth has served at the Colorado Springs SCORE as acounselor and Client Communications Director. In that position, Elizabethmanaged the first e-newsletter for the Chapter and created a roundtable program,“Conversations About You as a Business,” to bring advisers and business ownerstogether in an informal setting. In January 2012, Elizabeth reformulated A Perspective and began a business againas A Perspective, LLC. As a Creative Flow Strategist, Elizabeth collaborates withvisionary entrepreneurs to create business workflow, compatible with theindividual’s creative productivity. Jump In and Grab the Mic ! So, if you are interested in speaking, making a presentation, testing out a new concept or idea, have a challenge you would like to discuss with the group, (using our amazing "Team Thinking" and Problem Solving skills), or you have some suggestions or ideas about how you would like to support the CSE Group, this is your chance. Just send me an e-mail and let me know and I will add you to our "ad-hoc" speakers roster. 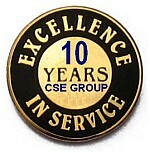 Over the span of 21/2 hours we should be able to fit in a number of CSE Group members. 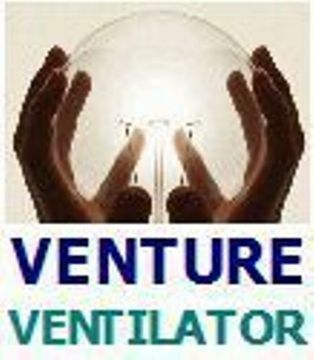 I will also have some updates on projects that I am working on for CSE Group members with Ensemble Ventures and our "Venture Ventilator", and some updated info on the progress of the Venture Development Cluster concept we are developing. Looking forward to seeing you tomorrow night ! If you would like to join the CSE Group and Register to Attend this meeting use this URL:http://www.meetup.com/ColoSpgsBiz/ Thanks!